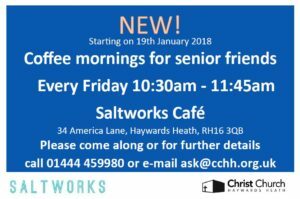 Saltworks is a Christian charitable work to demonstrate the Christian message in the local community by offering help and arranging community activities with a particular focus on the Bentswood area of Haywards Heath, Sussex. 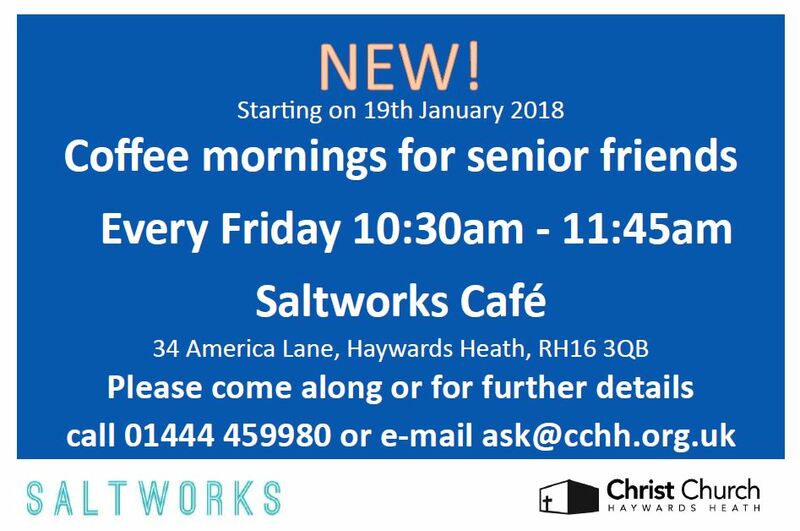 Up until the end of 2017, the cafe was open to the general public during the week, but sadly due to financial constraints we are no longer able to offer this. 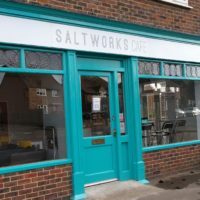 However, Saltworks still runs a number of community activities from the cafe building for various groups, including senior friends, internationals, and the youth cafe. There are normally no charges for these events. 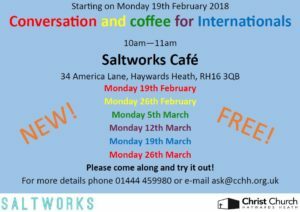 Some of the events are shown below, and please do keep an eye on the displays in the cafe window, where we will also advertise any up and coming events. 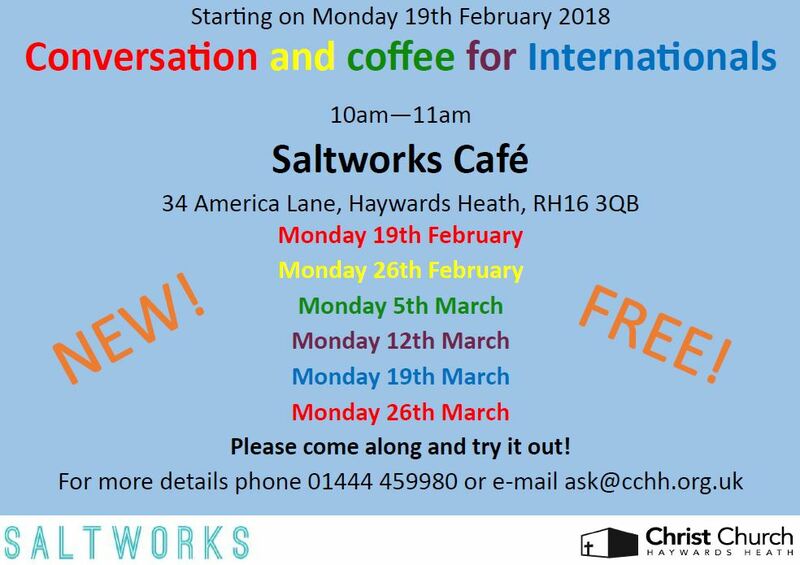 If you would like any more details, please email ask@saltworkz.org or give us a call on 01444 459 980.